Ghosts and Witches Hats So Cute! 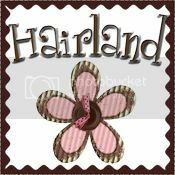 They sell Clips, Barrettes, Ribbon, Flowers, Tulle, Headbands, Crochet Hats, Tutus, Cheer Bow Supplies, Fabric, Appliques, Resins, Bottle Caps, Ribbon Slides, Bow Tutorial, No Slip Grip, Felt Shapes, Lining Tape, Tools and have a large selection of free tutorials too! 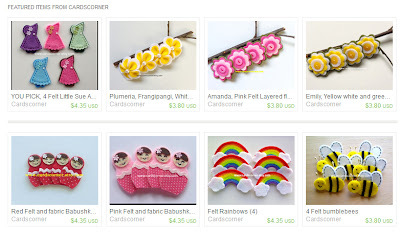 Check out Cards Corner on Etsy for cute Hair Clip Appliques! 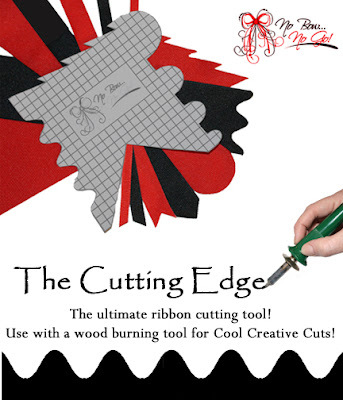 The Cutting Edge by NoBow...NoGo! is a tool to perfect all your tail angles. There are many more great companies for purchasing flowers. A few tulle suppliers to add to your list! Want to share a free tutorial you love, email us the link makebowsandmore@gmail.com. Can't find a tutorial anywhere, email us what you are looking for and we will try to find it. 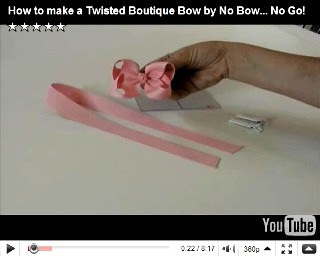 Thank you so much No Bow... No Go! for your great instructions. 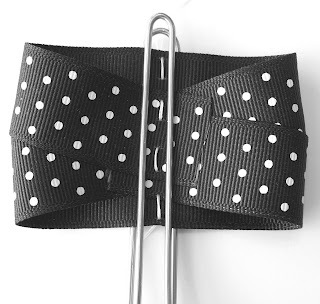 Using 7/8" ribbon fold it as shown. 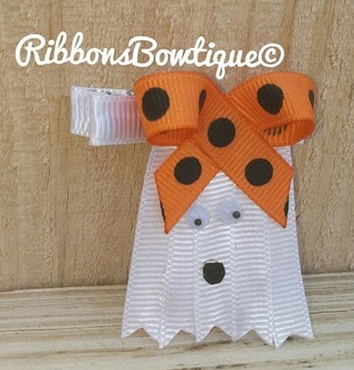 Center a jumbo clip on the ribbon. 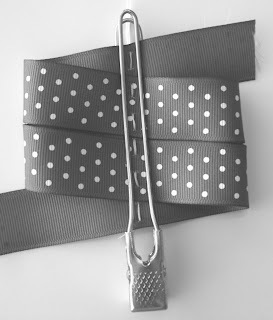 Sew even stittches up the middle of the jumbo clip (Sally's Clip) using upholstery thread with a needle and knotted ends. *Stitches up the center should be about 1/4" apart and even. 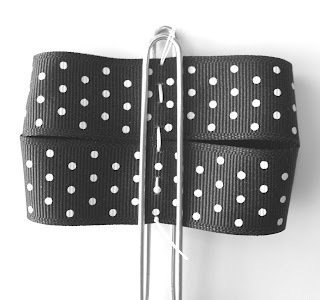 If you want the ribbon edges to the back of the bow, stitch on the top of the edges or seam where ribbons touch (as shown). 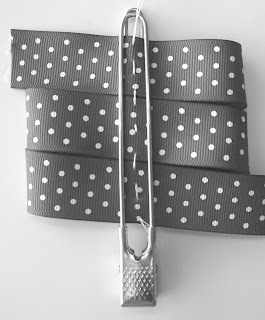 If you want the ribbon edges to point forward on the bow, make the stitch on the backside of the seams. Back side view of what it looks like sewn up the center. 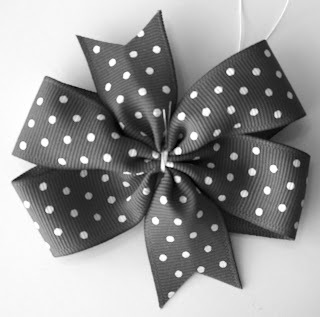 Remove the jumbo clip, pull thread tight to crease the center of the bow. 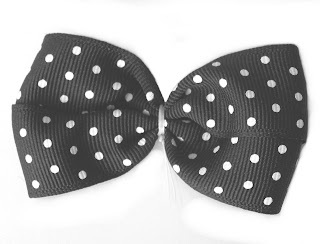 Tie the threads off on the back of your bow. To finish the bow cut and heat seal the tails straight or with 'v' cut ends.